Narratives » Shocking Poverty in Afghanistan: Will New Findings on Multi-Dimensional Poverty Affect the Country’s Future? Shocking Poverty in Afghanistan: Will New Findings on Multi-Dimensional Poverty Affect the Country’s Future? A recent study conducted by Central Statistics Organization (CSO) of Afghanistan titled “Multidimensional Poverty,” indicates that nearly 52 percent of the country’s citizens face poverty and the highest poverty is among young people. Hasibullah Mowahed, Technical Deputy of CSO, said at a news conference in Kabul on Sunday that the findings of the organization show that more than half of Afghanistan’s population face “multi-dimensional poverty”. 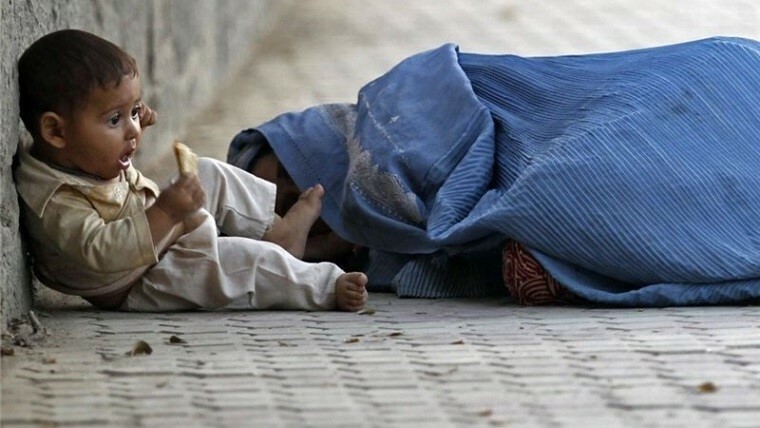 According to the report of this organization, poverty has risen from 7 percent to 15 percent from 2008 to 2017, and in the present about 18 million Afghans suffer from poverty. Based on the findings of this research, poverty rates in Afghanistan’s cities are 18 percent, in rural areas 61%, and among Kochis (Nomads) this rate reaches to 89%. Officials of the Central Statistics Organization of Afghanistan say that 41% of the families who use solid fuel and 39% of families with at least one child deprived of education are among the multidimensional poor people. According to Mr. Mowahed, in addition to that 32 percent of the families who have one person employed, the rest of the family members are economically dependency, and 24 percent of the families who have experienced economic ruin are among the multidimensional poor people. In previous reports, overall poverty was measured by income levels of individuals, and people with less than 2,600AFN (less than $ 30) monthly income were considered poor. But for the first time, Afghan National Statistics Organization, published a report about the modality of different aspects of poverty. In multi-dimensional poverty index report, five sections, such as education, health, living standards, employment, and the impact of security on people’s lives have been studied. The findings of this report show that Kabul has the lowest poverty rate and Badghis province has the highest level of poverty. The lowest rate of multidimensional poverty level in Kabul is 12% and its high level is in Badghis province which is 81%. “Less than 40 percent of Afghans have access to health services, education, basic life facilities, employment, and measures to prevent natural disasters,” Hasibullah Mowahed Technical Deputy of CSO said. According officials of Central Statistic Organization, these fields are the most important dimension for measuring “multidimensional poverty” which has been analyzed through 18 sub-indicators in this survey. Multi-dimensional poverty is a new method of measuring poverty that has been utilized in 100 countries so far. Mustafa Mastoor, Afghan Minister of Economy, also said that those who had less than 40% access to these five arenas were listed as poor people in the report. “Due to this reason, the report of 2016 and 2017 showed an overall poverty rate of 54% in the country,” Mr. Mastoor said. 58 percent of the multidimensional poor people are children under the age of 18, as per Central Statistics Organization’s findings. The report also shows that 48% of Afghan families do have not literate women over the age of 10. The United Nations Children’s Fund (UNICEF) has also expressed concern about the extent of the overall poverty among children in Afghanistan. “58 percent of the multidimensional poor people are children under the age of 18,” as per Central Statistics Organization findings. This agency added that the overall poverty among children in Afghanistan is 60%, that is, out of every 10 children in Afghanistan, 6 of them live in overall poverty. “61% of families with more than 10 members are among the multidimensional poor people, and only 33% of households with fewer than 4 members are among these poor people,” Afghan minister of economy said. According to officials of Afghan Ministry of Economy, rapid population growth and the lack of participation of the majority of the population in the cycle of production and earnings are the main factors in the expansion of the multi-dimensional poverty rate. They emphasize that nearly 7 million people in Afghanistan, which are mostly women, are economically inactive. The Minister of Economy has pointed out that the ministry has recently developed a national population policy aimed at pushing economically inactive population into economic activities. Mr. Mastoor emphasized that in terms of income and consumption, Afghanistan has ranked 170th among 191 countries and it is the poorest country among Asian countries. Some experts stress that this report can play an effective role in implementing government-prioritized programs. 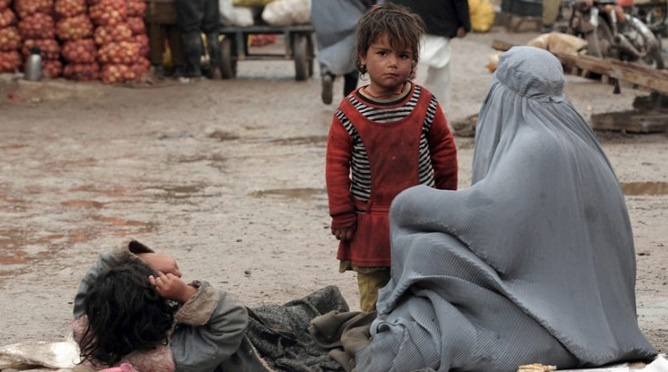 Professor Sabina Alkire, Director of the Oxford Poverty and Human Development Initiative commented on this saying that: “The report of the multi-dimensional poverty index of Afghanistan has not only revealed the depth of poverty but can also work to coordinate and create effective policies and evaluation of them”.